This book is a police thriller, and a bloodthirsty one at that. 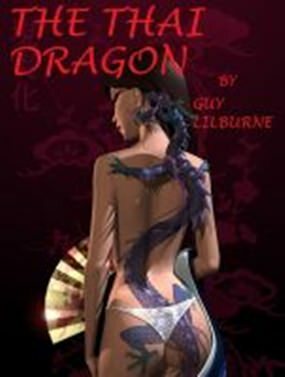 Written by Guy Lilburne, this book The Thai Dragon (ISBN 978-616-91211-6-9, 2010, 4th Edition, Dragon House Publishing) embodies the old adage, “write about what you know”. Author Lilburne was in the police force for 30 years with 27 of them as a detective, so his hero Sgt Danny O’Brien is a believable detective. Lilburne is also a resident of Thailand these days, so his placing of his characters is also in a believable Thai setting. 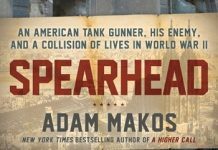 The attention to detail in this book is extensive, to maintain the reality. The mark of a good writer. The book begins after setting the scene, with the murder of a young woman in Phuket, and hits you in the face by page 27, the start of Chapter 4. A particularly savage murder, the like of which I have not encountered since the “Murders in the Rue Morgue” (Edgar Allan Poe published in Graham’s Magazine in 1841 and recognized as the first detective story, and made into a movie in 1932). Author Lilburne’s Detective O’Brien is today’s answer to Poe’s master detective C. Auguste Dupin, both of whom methodically sift through clues. Whilst sleuthing, Detective O’Brien finds himself becoming very close to his Thai counterpart, starting a very complex association, which in turn brings in Thai superstitions and the ability of monks to foresee the future. Almost a mini-primer on Thai culture. In addition, Thai thugs with money are introduced to the plot. Very real parts of life in this country where the Phu Yai and “dark influences” are a law unto themselves. The strength in this book lies in the clarity that author Lilburne brings to the meld of East and West, which he does most successfully. The plot is suitably convoluted to keep the reader guessing, and the characters can be related to by anyone with even the slightest knowledge of life in Thailand. Following a violent death, for Thais there is the problem of the lost spirits staying around the crime scene. The author deals with these problems, showing a better than average knowledge of the culture. There appears to be a dearth of good sub-editors in the Thai publishing industry, as this book has its fair share of spelling mistakes and poor use of the English language. “Shoes with a wavy pattern on the soul”, where that should be “sole” is just one of them, and I should not be finding literals such as this! Please, can the publishers check before printing to stop my perennial whinge? The RRP is B. 395 and bargain priced for such a hard-hitting crime novel. Despite the literals and typos, this is an excellent thriller, but be ready for verbal imagery that will shock you! I still found it an easy book to digest and the thriller not too complex to make it difficult to read. In common with the better police thrillers, the who-dunnit does not reveal the perpetrator till the very end. However, the book does not end with the culprit facing justice, but rather with the reader facing “Thainess”.